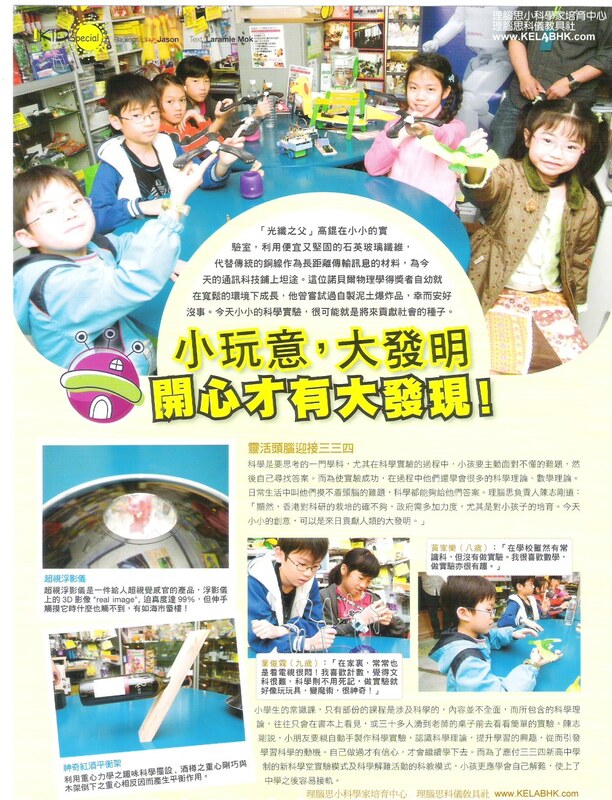 兒童尖子教育雜誌 4~2010專訪理腦思小科學家培育中心 "i-kid" is a monthly magazine focusing on kids' growth. Through various topics, readers can understand more on their role as parents and guardians to their children. Our aim is to strengthen family relationship and establish proper concept on children education. What is most important is to explore children's potential as well as allow them to have a balance growth both physically and mentally.